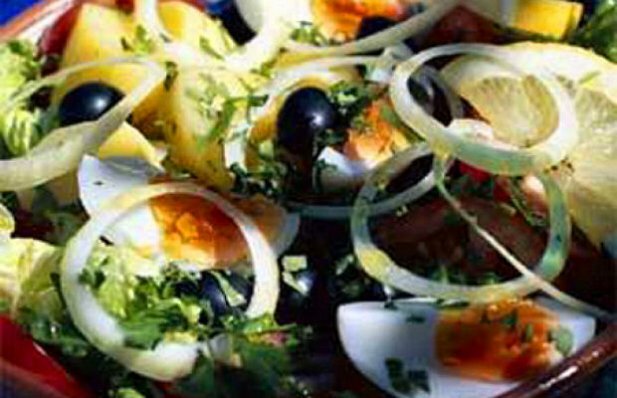 How to make Portuguese salad (Salada Portuguesa). 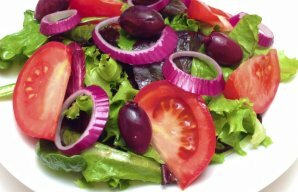 In a salad bowl, arrange lettuce leaves, then top with rest of ingredients. Serve with a lemon wedge and a sprinkling of parsley. Add a pinch of sea salt and dress with olive oil and vinegar to serve. 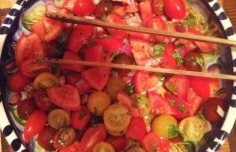 A fresh and delicious Portugue tomato salad that goes well with goat cheese or cured meat. This Portuguese mixed green salad recipe makes a delicious, easy, quick and healthy salad. This Portuguese salad combines of fried breadcrumbs, beans and vegetables.